A new video released by the Disney Facebook page on Christmas Day gives an exclusive behind the scenes look at the newest addition to Disney World and Disneyland parks, Star Wars: Galaxy’s Edge. The video gives a glimpse into 2 new attractions that will be included in the Galaxy’s Edge expansion, Smuggler’s Run and Rise of the Resistance. Smuggler’s Run puts you and 5 others inside of the Millennium Falcon’s cockpit during a wild ride through the galaxy. The riders will be assigned seats like Pilot, Co-Pilot, and Gunner with each seat having unique roles and buttons to press during the ride. This is very similar to the set up of Epcot’s Mission Space, which assigns riders a role with specific actions to take during the mission. Rise of the Resistance puts fans in the middle of the conflict between the First Order and the Resistance via an on track trolley ride with cameos from Star Wars fan favorites like Kylo Ren and others. 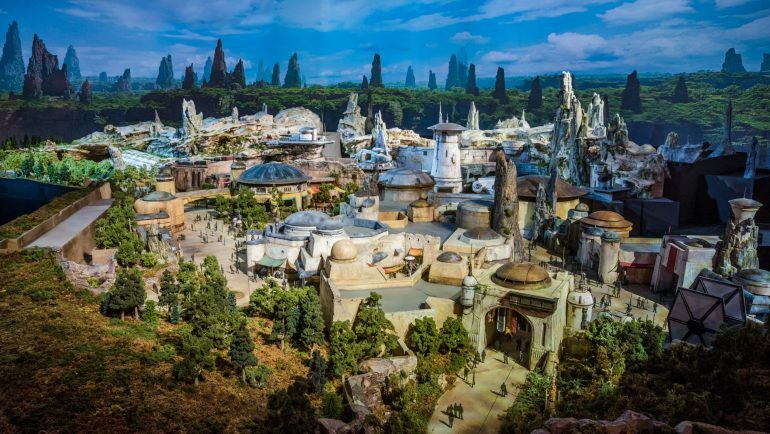 Both of these rides are set to open when the Galaxy’s Edge expansion opens in each of the Disney parks.